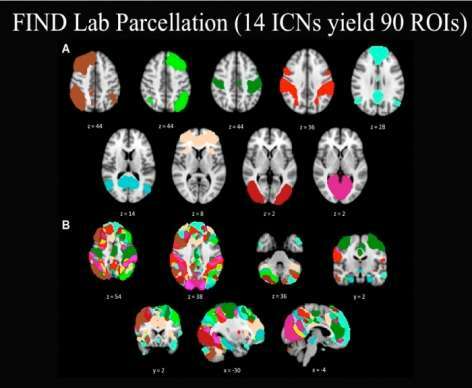 Functional magnetic resonance imaging (fMRI) is advancing beyond the identification of task-activated brain regions, and is now being used to characterize the structure and dynamic function of inter-regional brain networks. Aberrant connectivity patterns have recently been shown to be characteristic of neuropsychiatric disorders including drug abuse and are also related to impaired performance on neurocognitive tasks. Traditionally, studies of brain function have focused on task-evoked responses. By their very nature, such experiments encourage a spontaneous view of brain function. The alternative possibility is that brain functions are mainly built-in, involving information processing for interpreting, responding to, and predicting environmental demands. Judged from the perspective of brain energy consumption, it is this alternative perspective that best captures the essence of brain function. Understanding the nature of this ongoing and basic activity requires integrating knowledge from cognitive and systems neuroscience with cellular and molecular neuroscience. Resting-state functional connectivity MRI is a relatively novel imaging approach that has gained popularity in the study of neuropsychiatric disorders. 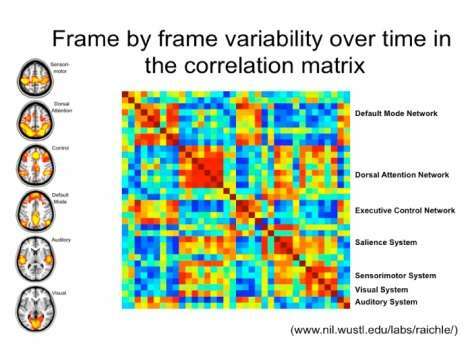 Functional connectivity in this setting is defined as sequential correlations in the spontaneous fMRI signal fluctuations between two or more regions. Using this approach, numerous groups have identified and begun to characterize a collection of brain networks referred to here as intrinsic connectivity networks (ICNs). The number of distinct, distinguishable ICNs has varied across different imaging laboratories, but is typically in the range of 10 to 20. This presentation focused on two ICNs in particular that Dr. Greicius's research group and others have linked to emotional salience processing and executive control. Linking ICNs with their accepted functions can be challenging, and several methods to do so were considered. 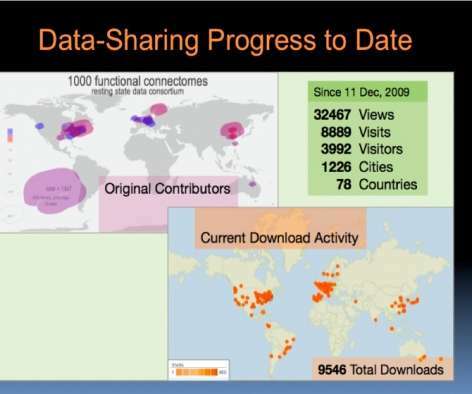 The role of the salience network in disease states was also discussed. Neuroscientists are trying to determine the structural and functional connection patterns, or the "connectomes," of the human brain. These patterns can be studied at distinct scales, ranging from single synapses and minicolumns to anatomically distinct regions. The field has converged on studying anatomically distinct regions; however, there are still no widely accepted methods to divide the brain into relevant regions. Recently, investigators have noted that patterns of synchrony in spontaneous brain activity recapitulate the full range of functional circuits. Further, these patterns have sharp boundaries within any individual's brain. The resulting step functions allow division of the brain in terms of its built-in properties, but with unknown biological significance. To determine their biological significance, Dr. Castellanos and his research team began by determining the likelihood that a trait is hereditary based on the differences in correlations between identical and fraternal twins. These tests included regional homogeneity, seed-based regression analyses, amplitude measures, and small-world network centrality. They found regionally specifiable relationships and characteristics that exhibit significant heritability, indicating a high likelihood that they were influenced by genetic factors. These results provide specific hypotheses for ongoing discovery of the genetic factors influencing brain structure and function. The ability to collect resting state scans across imaging centers and samples also promises to provide a framework for large-scale studies of the foundations of addiction risk, as repositories such as the International Neuroimaging Datasharing Initiative expand.